Back to the the Arcade Games Section ! A Link needs to be added ! Check CPS-2 Shock for more details. There are many released CPS2 games and this system is still active in the arcades. Below are only those I've covered so far ! Check Warlock's awesome The Taito Project pproject at Emulation Status for additional info about Taito. His Taito Hardware section has also a nice Taito F3 page. Moriguchi Hiroko Quiz Woo! Hoo! Check Warlock's SNK Neo Geo page at Emulation Status for more details. 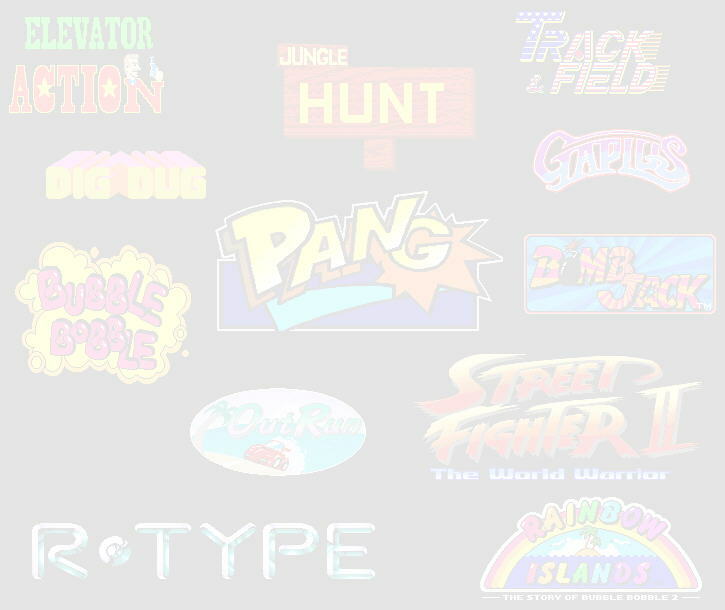 There are more than 136 released NeoGeo games - below are only the ones I have covered so far ! Check Sixtoe's Zaxxon Hardware page at Sega Museum for more details. Check Sixtoe's Sega System 1 page at Sega Museum for more details. Check Sixtoe's Sega System 2 page at Sega Museum for more details. Check Sixtoe's Pre-System 16 page at Sega Museum for more details. Check Sixtoe's Sega System 16a page at Sega Museum for more details. Check Sixtoe's Sega System 16b page at Sega Museum for more details.